When I’m on holiday in Fuerteventura I like to spend as much time outside as possible to soak up the warming suns rays and enjoy the natural beauty of the island. 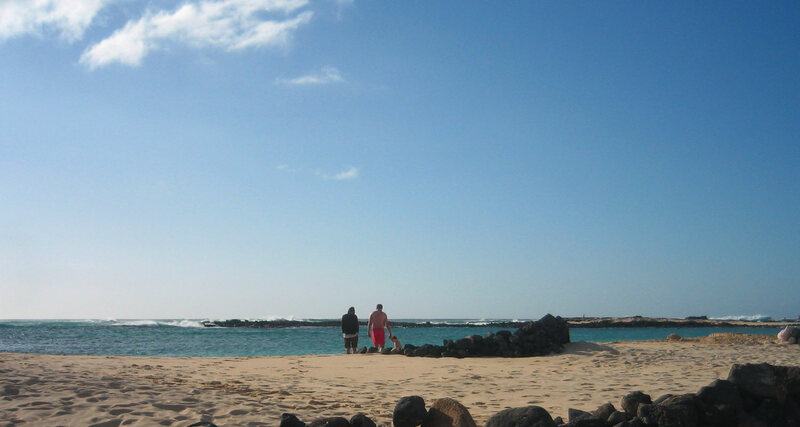 One of my favourite things to do is go for walks in El Cotillo around the island and this 13km route in El Cotillo from our holiday apartments to Playa Esquinzo is a lovely walk for mid-distancers. 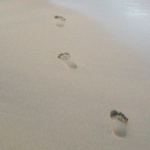 Firstly though, some tips for walking in Fuerteventura. When walking here it is essential to have good runners and carry water, lots of water. I carry a 75 cl bottle of water in a water strap around my shoulder to leave my hands free. I also wear a hat to keep the sun off my head. And don’t forget the sun cream. If you’re going for a long walk or planning on having a swim en route make sure you bring the sun cream with you so you can reapply as needed. So, to get to Play Esquinzo you head south from the apartments. You pass the marvelous old Toston Castle and then Piedra Playa which is the fascinating and extraordinary beach I told you about before. Definitely pick a reference point and compare it from visit to visit. We then walked along the Sendero track over the cliff tops and passed the 100 steps beach which is now temporarily gone to the sea. These steps are for fit and supple people. Your reward for scaling the steps is an exquisite view of the sea. 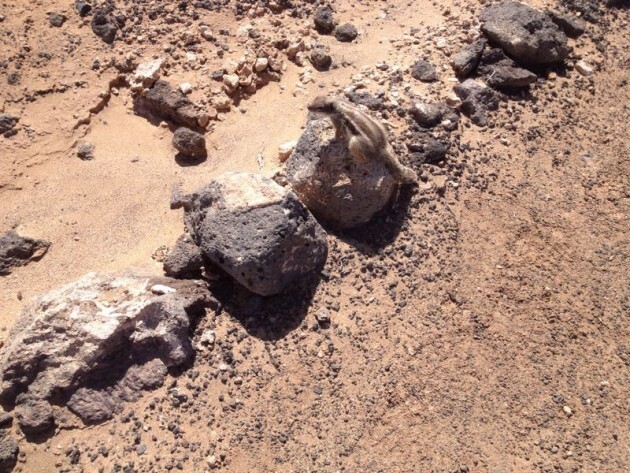 When walking in Fuerteventura the island will routinely show you some of it’s natural charms which is what happened spotted the very friendly Barbary Ground Squirrel who approached us without any fear whatsoever. They even posed for my photos. This is nature at its most intimate. We arrived at Playa Esquinzo after a wonderful easy walk of 6.5 km from the apt, availing of the seats and viewing points on the way. On the way back from Playa Esquinzo we stopped in to the Torino beach bar and restaurant for some well earned refreshments. The Torino beach bar is between Piedra Playa and Toston tower (a tower which was built in the 1790s as a defence against pirates). We had coffee, donuts and ice cream and spent 40 minutes watching the surfers amuse us from our vantage point at the top of the cliff. All in all, an enjoyable day and an enjoyable walk. 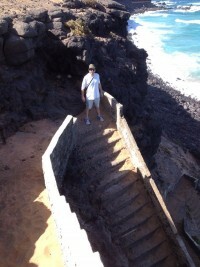 most helpful, but, when did you last visit Steps Beach and are the steps still intact or even repaired? do you know the official name of Steps? Again brill and thanks for response, sorry for my late acknowledgment.